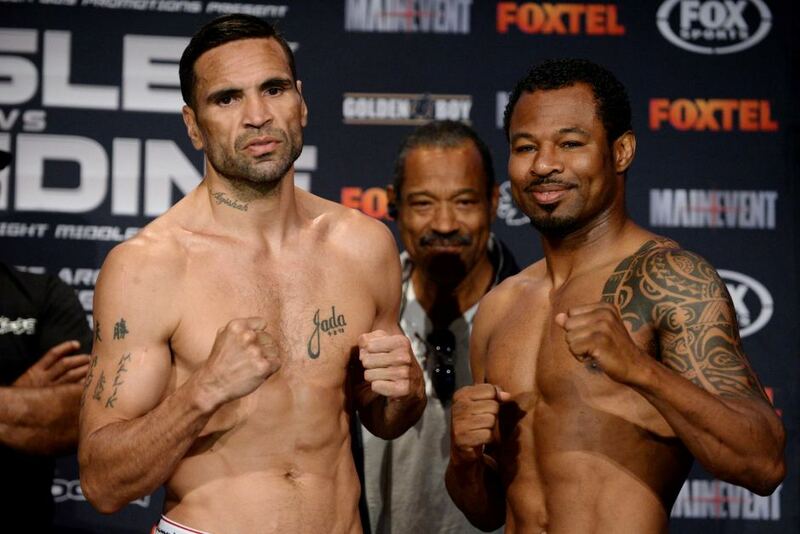 Anthony Mundine and Shane Mosley weigh in ahead of their 2013 clash that the Australian won by TKO7. Anthony Mundine 48-8 (28) will clash with Jeff Horn 18-1-1 (12) at Brisbane’s Suncorp Stadium on November 30 in what is being billed as the biggest all-Australian fight in history, it was confirmed on Wednesday. The fight between the former WBA super middleweight champion from Sydney and Brisbane’s former WBO welterweight champion Horn will be at a catchweight of 71kg and will take place at the same venue where the 30-year-old ‘Fighting Schoolteacher’ edged out Filipino legend Manny Pacquiao over 12 fast-paced rounds in July last year. The 43-year-old Mundine says he’s looking for a fast start against Horn, who is coming off a ninth round stoppage loss to pound-for-pound level fighter Terence Crawford in America in June. Team Mundine are equally bullish about the veteran’s chances and are leaving no stone unturned in what is expected to be a fiercely contested battle. “Anthony has never had a training camp like this in his life,” said Mundine’s adviser Emaid Dib to the Courier Mail. “He really is Jeff’s worst nightmare. He’s fast, crafty and he can punch and he will be a lot bigger than Jeff. We know Jeff has trouble with fighters who can move well. Leading sports scientist Ryan Pinto has been drafted into camp to assist with Mundine’s diet and nutrition as he boils down his 5-foot-11 frame down to the 71kg (156.5lb) catchweight. There are penalty clauses in place for Mundine that could cost him as much as $2 million if he fails to make the contracted weight. “Ryan Pinto is a top sports scientist who works with [National Rugby League club] the Rabbitohs, the Waratahs rugby team and NSW cricket and he will make sure Anthony is super strong and super fit at 71kg,” said Dib. “Anthony has been at the top of boxing for 18 years and he sees this as his big chance to shock the world in a huge stadium fight against a boxer who beat a legend last year. Negotiations are underway to match Lucas Browne against Alex Leapai in a tantalising heavyweight clash in the main support bout.